Today more than ever, a brand’s social presence is critical, no matter the size of the business. On one end of the spectrum, small local retailers need to drive traffic to their shops. 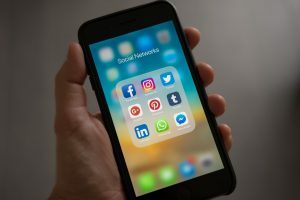 On the other end of the spectrum, franchise and enterprise businesses with multiple locations need to master a local social presence to effectively manage their reputation. Most business owners or marketing teams aren’t aware of the critical conversations that are happening on the local level, and this can be due to a few factors, such as not understanding or underestimating the power of local marketing, a lack of resources or an emphasis on other marketing priorities. Regardless of the reasons, it’s never too late to implement a strategy that will boost your local following and spark engagement among local consumers. Here are six steps you can take to build a local social presence. By not claiming your local profiles, responding to feedback in a timely manner and controlling local messaging, businesses are putting their reputations on the line, which can result in a major crisis for their bottom line. The impact of poor consumer feedback can be detrimental to future sales. The first step to claiming your local pages and finding pages that may already exist it to search these channels using keywords about our industry and your company name and phone number. You then need to go on and claim theses pages. If the Page is unmanaged, you’ll see Unofficial Page below its cover photo. You can request to claim the Page and become its admin, and you can merge the Page into a Page you already manage for your business. Click “Is this your business?” below the page’s cover photo. Keep in mind that you may be asked for information to verify your relationship with the business, such as business phone number, email or documents. If you know who the admin is of the page you want to claim, you can also contact them and ask them to add you as admin. Simply claiming your local pages is not enough. According to local social expert Afif Khoury, CEO and founder of social media marketing and management tool SOCi, if you don’t frequently post to your Facebook pages, Facebook de-ranks your pages. Further, if you don’t post often, consumers may think that your company went out of business and/or cannot be relied on for social media support. The bigger your company is, the more overwhelming it can be to post content frequently to all local pages, but there’s a way to get relief when staffing extra help is not possible. Khoury believes that when the page’s targets are different and far enough away from each other, posting a lot of the same content is okay. It is imperative that you know who your audience is. Facebook Insights offers great information about your target consumers. Through Facebook Insights, you can learn which towns your audience lives in, what gender they are and how old they are. When engaging with a business be sincere. How many times have you seen someone leave a comment like “I love your work”, or “Great page!”. Don’t engage for the sake of it. Instead, engage with other business pages that posted content that actually interested you, and you want to build a relationship with. Use location-targeted Facebook and Instagram ads. Facebook and Instagram ads help you to get your message in front of the right people. With location targeting, you can refine the particular audiences you want to reach, including everyone in a particular area, only people who live there, individuals who were there recently and individuals who are travelling to that location. Creating and managing a group can be a time-consuming task when you are first getting started, but all the hard work can have a positive impact on your bottom line. Not only do Facebook groups help foster community, but they reach more people than organic page posts.